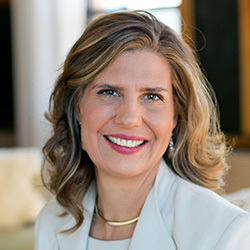 Jennifer Sawyer is SMIF’s current Board Chair. She is also a Principle at Northfield-based Rebound Enterprise. How did you come to be involved on SMIF’s board? I had been heavily involved in volunteering in the community, a director at the bank so involved in lending, and had three children, so involved in going to ECFE and early childhood classes, plus with my business of investing in businesses in small towns, it just made sense. Bob and Charlie both identified it as a good fit. SMIF’s values align with my personal values, along with the values of my company Rebound Enterprises, so it’s a really good fit. What do you value about your own community of Northfield? Why do you choose to invest here? I grew up in a rural town in northern Minnesota, and I’m part of a fourth generation family business. I have such a deep appreciation for the quality of life one gets in a small town. Living in a small town, you get to live more: you often have deeper relationships – the people you work with are the parents of kids your children go to school with or people who you volunteer next to. The sense of connectivity that you get in a community like Northfield you can’t get anywhere else. What parallels or insights from your experience with Rebound Enterprises have you been able to observe or apply to SMIF’s role in rural revitalization in your role as a Board member? One of mission statements at Rebound is that we build strong leaders, strong companies and strong communities. Growing up in a small rural town as the fourth generation of a lumber logging industry, I believe strongly in being able to live and work in your own town, where there are jobs that allow people to be present so they can go watch their kids’ play at school or have the ability to coach their soccer team or to volunteer. When you’re able to live and work in your own community, you have the opportunity to live deeper. Can you think of an example of a unique projects/program/initiative that the organization accomplished while you were here that you think will have a lasting impact? Some of the really exciting programs that have come out in the last four years have been the continuous explosion that they’re having in early childhood, being the industry expert and voice for early childhood in Greater Minnesota. That didn’t happen by accident, but took a lot of planning, competence and expertise. I think the entrepreneurial spirit that Pam and her team are leading beyond just loans is great. To continue to create tools and resources for entrepreneurs to use to thrive after they’ve started their business is important. Starting a small business is not an easy task and not for the weary of heart – it takes time, patience and patient capital – and I think by looking at economic development through FEAST! and the Entrepreneurial program are great ways to continue to go deep in that. SMIF’s work in creating community foundations is also critical. I grew up in a small town that had the Blandin Foundation. I didn’t realize how blessed we were to have this life-giving fountain of giving. SMIF is creating those root solutions to be life giving, and they’re helping each other to do that. For me as a board member, there’s a new world of governance, where you’re more than just an advisor, you’re highly engaged and an ambassador to create that vibrant mission and vision that the organization strives for. The work of involving the board members to be more engaged and to be ambassadors has been a growth area in the last four years. It can be a hard thing if you don’t know what the roles and responsibilities are, so there’s a challenge that comes with that. When I lived in an urban area, I lived with a sense of urgency in a very fast-paced environment. Sometimes I felt that despite this sense of urgency, there wasn’t a strong sense of purpose or meaning. Being able to live and work in my hometown, I have the ability to work toward a strong infrastructure so that maybe my kids will want to come back to live and work here. I think what sets Minnesota, and especially southern Minnesota apart, is that this is a very innovation region. This is a place that fosters ideas. I’ve seen young people and professionals that want to come back and live in this area to raise families, be involved in their communities, give back…they just might need some extra help, whether that’s capital, networking, some doors opened for them. But they’ll go through that door when we open it for them and they’ll create thriving businesses in our towns. Sometimes they’re just looking for an opportunity. Southern Minnesota has a culture of entrepreneurship, it fosters innovation, it’s collaborative…these are great communities to attract the next generation. Could you speak to the importance of collaboration in the work of SMIF? One of the things that I think SMIF does so well is they work with a collaborative nature. They’ll come into a community and listen, not decide, about what the particular needs – but more importantly, the assets - of that community are to set a strong vision. They’ll facilitate those conversations and bring diverse groups together to work together. We all know that when we work together, we get a better product, more people involved and a stronger community spirit. SMIF’s servant-leadership, facilitation skills, their capital and their strong programming make them a perfect partner. They’ll work with the schools, nonprofits, government, small businesses…that’s the kind of partner our communities are lucky to have in our region. A prime example is the Northfield Riverwalk Art Fair. Years ago there was just a group of committed citizens who said “wouldn’t it be great if our downtown was filled with people wanting to sell their artisan goods, farmers selling their produce and have it be a destination.” However, for ideas to become realities, you need thoughtful planning, commitment, capital, and that’s not always easy to pull together. SMIF is an organization that’s in it for the long-haul, and they can help see those long-term visions through with their patient capital and working side-by-side with community leaders. SMIF has over 170 communities that they serve. From disaster recover to an economic development plan to loans to early childhood to local food programming…they are involved in so many of the pieces it takes to create economic development.